Just like our cars are a big part of our lives, insurance is also an important aspect of vehicle ownership. Insurance is not only required by law but is also necessary for covering your vehicle against damage. No matter how careful you are, your vehicle can get damaged, and if you don’t have proper auto insurance, you have to pay for the repairs out of your pocket. Owning a car or any other vehicle is expensive, and the right auto insurance relieves you of some of the burden. Although coverage is the most important element that people consider when purchasing auto insurance, customer service also features at the top. Customers want prompt, efficient service from the insurer, which involves a quick response to emails and calls, helpful solutions to issues and queries, and overall patient and courteous behavior from the staff. Not all insurers are the same. Some always have better customer service than others. That is why some auto insurance companies rank higher. The following are the auto insurance companies with the best customer service. Amica isn’t the first name that comes to mind when you think of auto insurance. But even though it isn’t among the country’s largest insurers, Amica features at the top in terms of customer satisfaction. Amica also has fewer consumer complaints as compared to other insurers. Amica ranked “better than most” for overall purchase experience for auto insurance in J.D. Power’s 2017 US Insurance Shopping Study. It ranked “the best” for overall customer satisfaction in JD Power’s 2017 Auto Insurance Claims Satisfaction Study, winning the top award. In JD Power’s 2017 US Home Insurance Study, Amica ranked “the best” for overall customer satisfaction and won the top award. Amica insurance policies come with lots of free perks that most other insurers don’t offer. Even in the age of tax cuts this is awesome. This is another auto insurer that is known to make customers happy, both with its insurance service and customer service. Based in Erie, Pennsylvania, the auto insurance company operates in 12 states besides Washington, DC, and is recognized for the positive customer ratings, few complaints, and a high standard of service. Erie Insurance has been ranked “among the best” in JD Power’s 2017 US Auto Insurance Shopping Study. They also won the top award for auto insurance that year. Erie also offers home and life insurance programs, and the generous coverage options make this company a top choice among consumers. Travelers is one of the best-known names in the home and auto insurance industry. 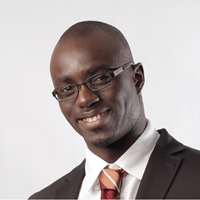 It is not only one of the largest insurance providers but also has very efficient customer service. Travelers insurance has fewer customer complaints than most other auto insurance companies, and rates high on consumer satisfaction. Other than auto insurance, Travelers also specializes in condo insurance, boat and yacht insurance, renters insurance, business insurance, umbrella insurance, wedding insurance, landlord insurance, and jewelry insurance. Nationwide is best known for auto insurance, but also offers several other types of insurance policies. 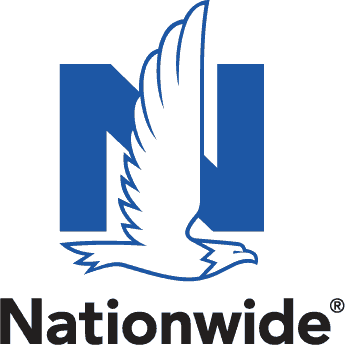 If you want to combine your auto insurance with your home or life insurance, Nationwide is one of the most renowned companies. Compared to other insurers, Nationwide has far fewer customer complaints and has high ratings in customer service and efficiency. In JD Power’s 2017 US Insurance Shopping Study, Nationwide ranked above average, scoring a 4 out of 5. The website of Nationwide has a portal for paying pills, managing policies, and viewing documents. There’s also a mobile app available for iOS and Android. State Farm may be the country’s largest auto insurer, but the company also offers a wide range of other insurance and financial products. 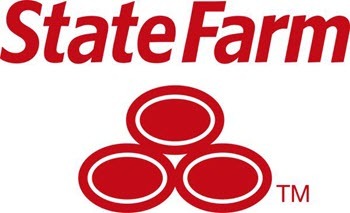 State Farm not only has a generous range of policies and coverage options but also has effective customer service. According to the National Association of Insurance Commissioners, State Farm has fewer than the median number of consumer complaints. If you’re looking for a well-known company with a wide selection of policies, State Farm is a good choice. Only the insurance policies are not enough to rank a company high; they must also have efficient customer service. These five companies are the nation’s best auto insurers in terms of customer service and satisfaction.